Do you use over-the-counter (non-professional only) polish? 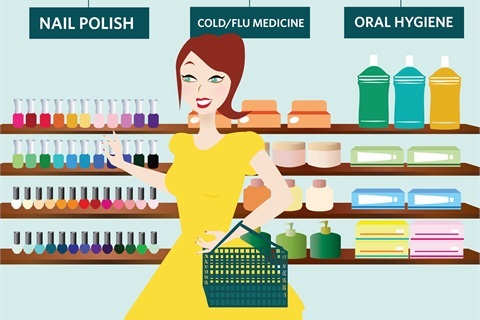 Reader to Reader: Do you use over-the-counter (non-professional only) polish? We choose not to if they can go buy it so easily and cheaply themselves. If they love a color we use in the salon it’s a great retail option for us because they can only get it from us. - Anthony Charles Licata III, Licata’s Nail Studio, Macomb, Mich. Yes I do. Mostly to custom blend colors. - Kim Tucker, Polish Nail Salon, Brea, Calif. I use Deborah Lippmann, Julep, Butter London, Rococo Nail Apparel, Etoile, Obsessive Compulsive, Floss Gloss, and Essie. All of these brands are high-quality and their color selections are varied and fashionable, which is important to me as I do a great deal of hand-painted nail art for my clients. I am proud to offer these wonderful brands to my clientele for their nail services. - Teresa King, Nailing It NYC, Brooklyn, N.Y. I use pretty much any color that looks good. I stay with more professional lines, but I don’t discriminate. - Lenzi Moore, Spoiled Spa and Salon, Vancouver, Wash. I use over-the-counter polishes but only for my water marbling because it uses a lot of polish. I use my professional polish for regular manicures and pedicures. - Sulema Gonzalez, Salon Casa De Estilo, Plant City, Fla.
We use Sinful Colors, which is an inexpensive polish available through CVS that has many pretty colors and very original glitters. We are a fashion-forward salon with a high concentration on nail art. We strive for high quality in our products. Their product is great. It is not the main line we carry — those are professional lines — but if I find something I like, I use it. - Jae’tte Burneo, Cosi Fan Tutte Nail Lounge, Laguna Beach, Calif. Absolutely not. I Use Zoya and Qtica products. If they are willing to pay good money to come to me for services, I give them top quality services. No skimping. - Elisha Lehew, Stages Hair & Tanning Salon, Washington, Pa. Sometimes. I like color, and love to give my clients a wide variety of options. The only one I buy over the counter is Sinful Colors. Their colors and glitters are great! - Raven Hennington-Billberry, Nails by Raven, Manhattan Beauty Center, Manhattan Beach, Calif.
Next question: How do you show your employees and/or clients you are thankful for them? [Answers will be printed in the November 2013 issue.] Share your opinion on the topic by e-mailing your response by September 15 to [email protected] Please include your name, salon, city, and state with your response. Traditional pedicure chairs or comfy chairs with portable spas?